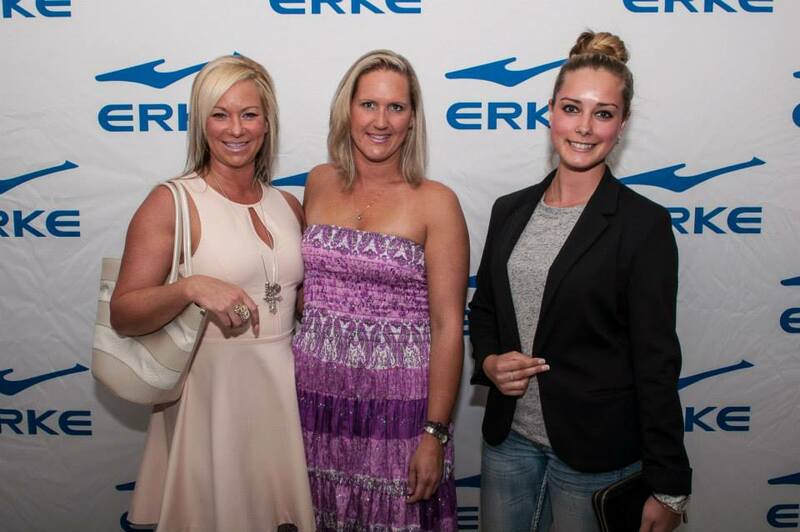 On Thursday evening I attended the launch of the new South African flagship store of sports brand “ERKE”. See their Facebook page here and their Twitter here. 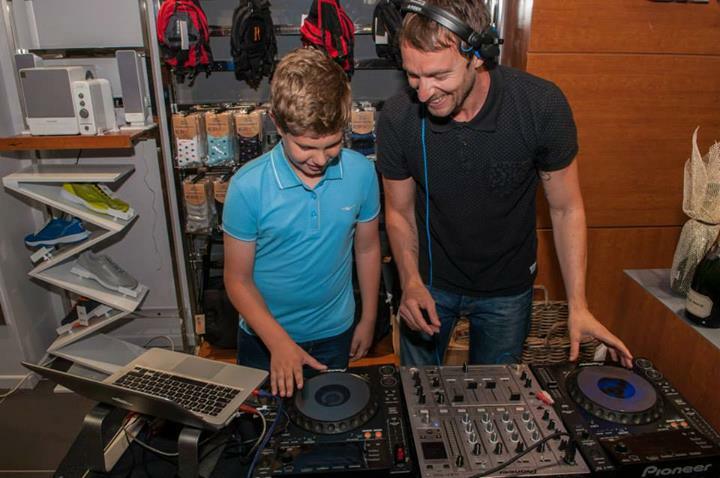 It opened to the public as of 12 Dec at 9 am on the ground floor of Cape Town’s trendy Garden Centre. I had a really good time, despite being a hot mess thanks to Cape Town’s infamous summer heat! Thank goodness for Cruz Vodka & Scheckter’s OrganicEnergy Drink cocktails which cooled me down a great deal! 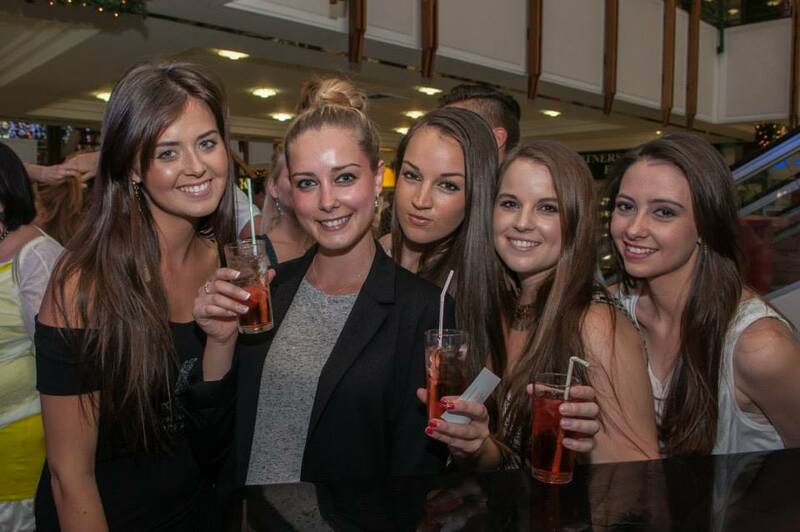 Along with Peroni South Africa, S.Pellegrino & Acqua Panna waters & bubbly by Steenberg, everyone had reason to get loose with their festive spirits – and with their wallets, too! Liezel van Der Westhuizen gave a stunning welcome explaining a bit about the brand. 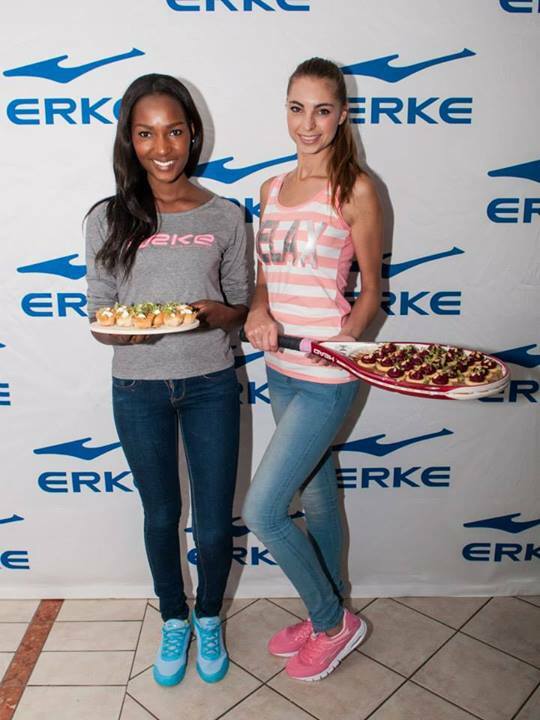 Together with Marina Nestel, they made a cute pair dressed in ERKE sportswear! Thanks to The Little Black Book PR & Events for the wonderful evening. See the official album from the event here.